Conservationists have been celebrating the birth of a rare pygmy hippopotamus at an Australian zoo. 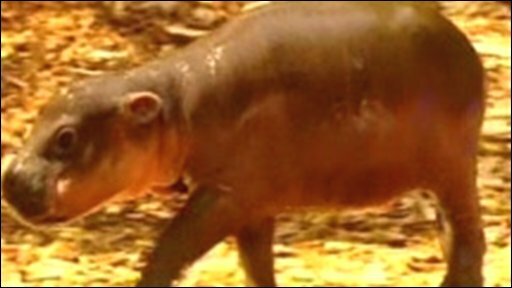 There are less than 3,000 of the endangered animals left in the wild, and zoo keepers say every hippo born is "extremely important" for the species' survival. Monifa, who weighs 13 pounds (six kilos) and is the size of a puppy, was born after a breech delivery.